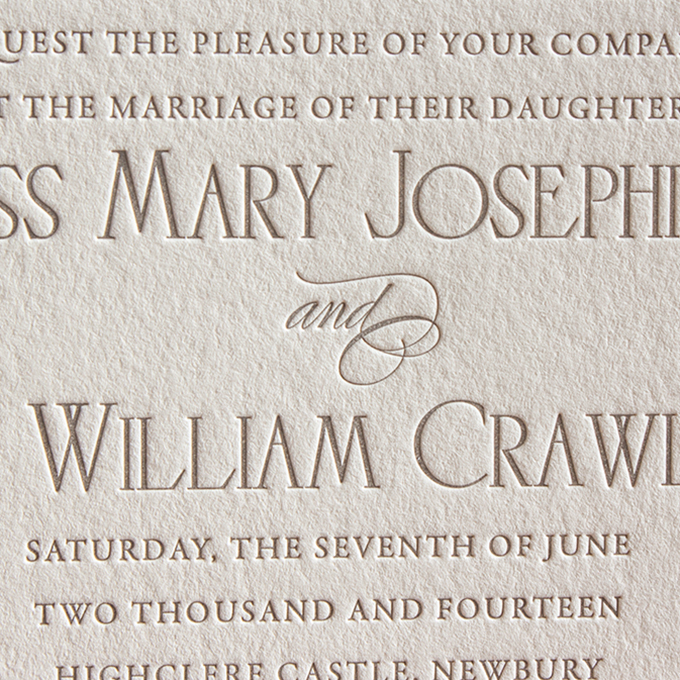 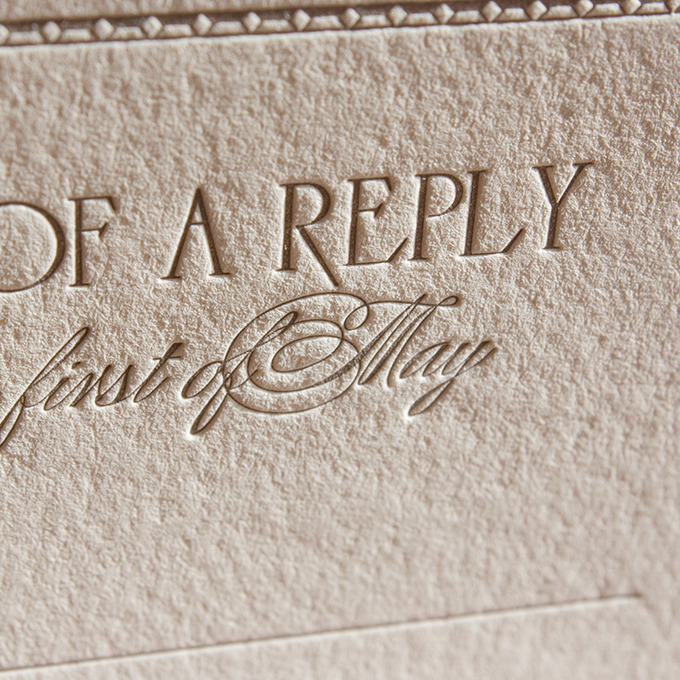 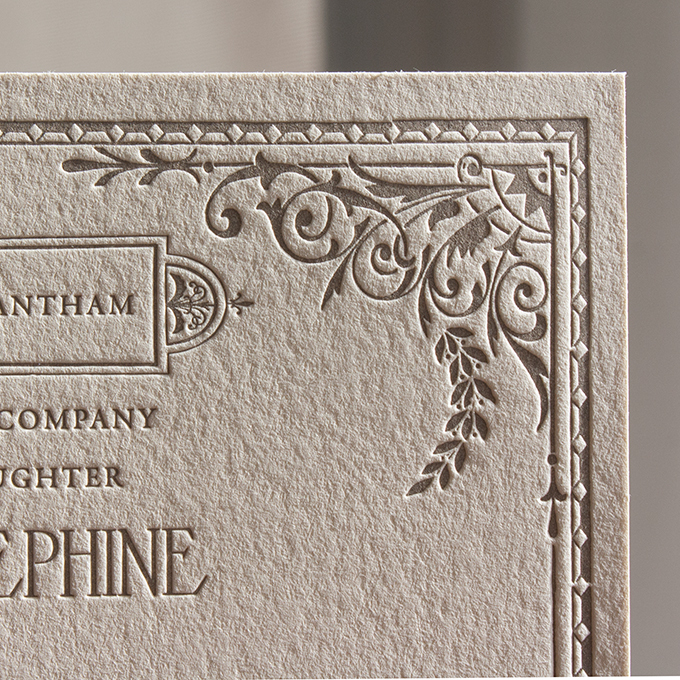 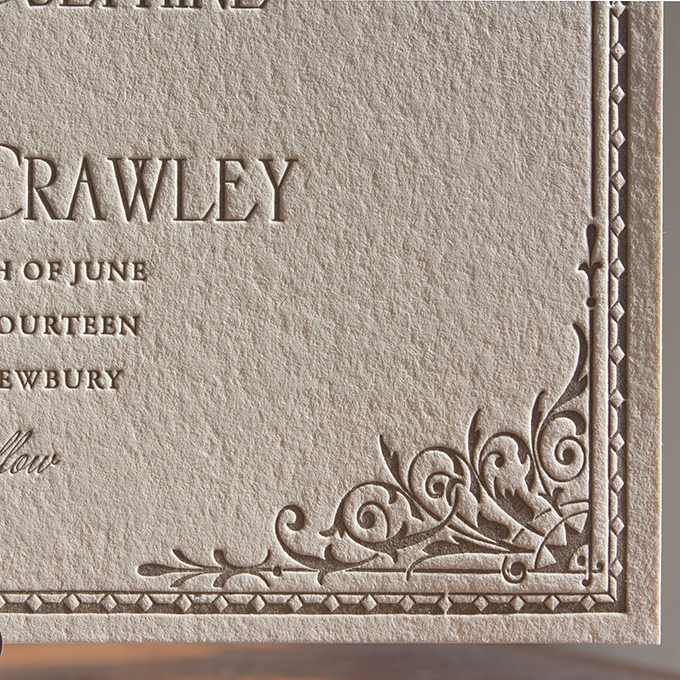 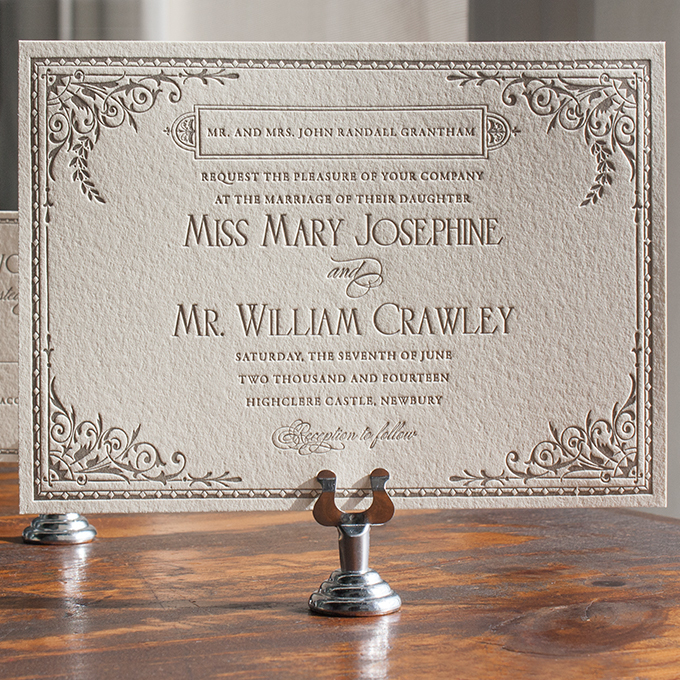 Inspired by the post-Edwardian era, the Lady Mary invitation suite includes lavish flourishing, ivy accents, and delicate, formal serif typefaces indicative of early 1920s Great Britain. 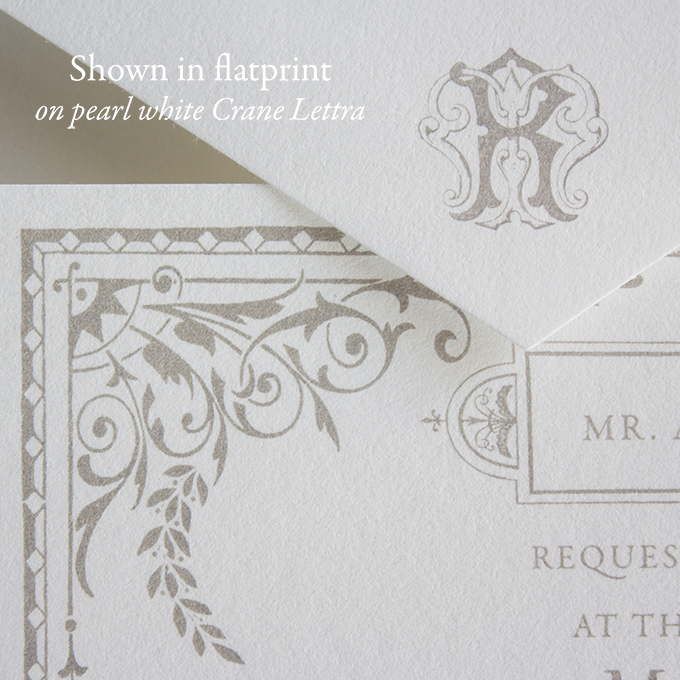 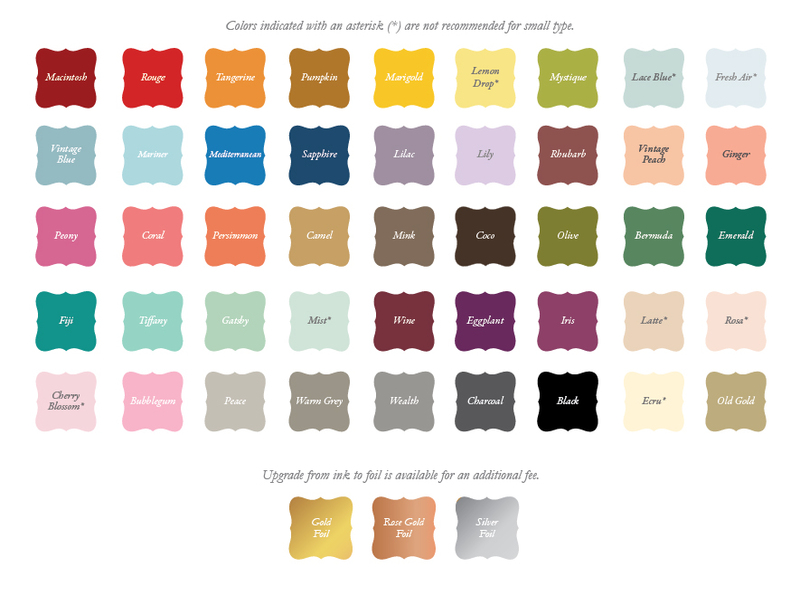 Click here to view our Pinterest wedding board inspired by Lady Mary! 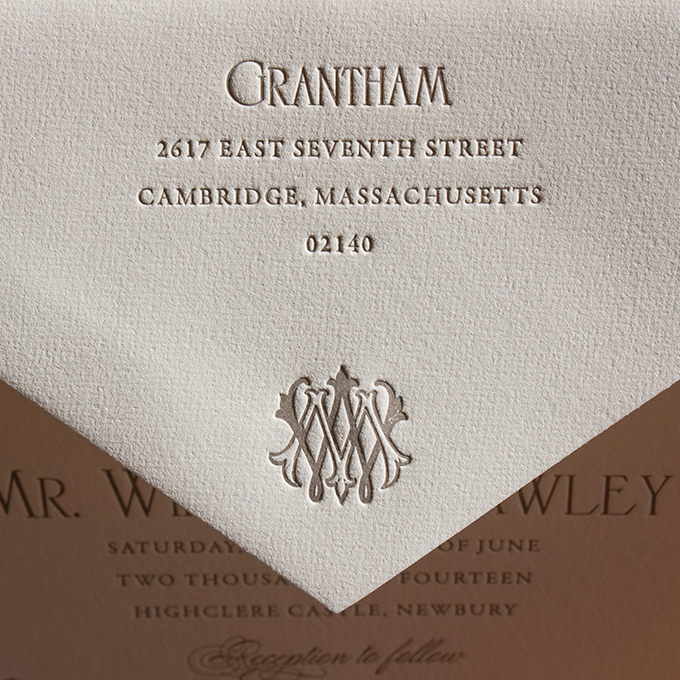 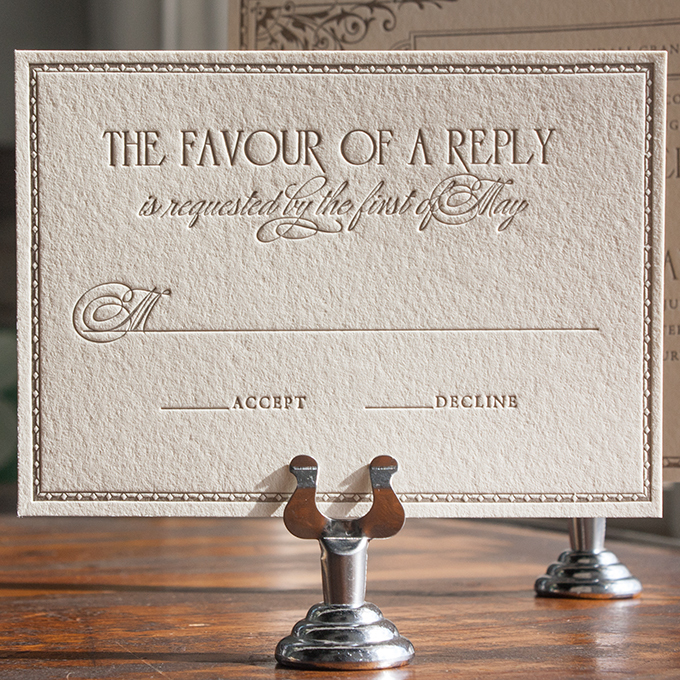 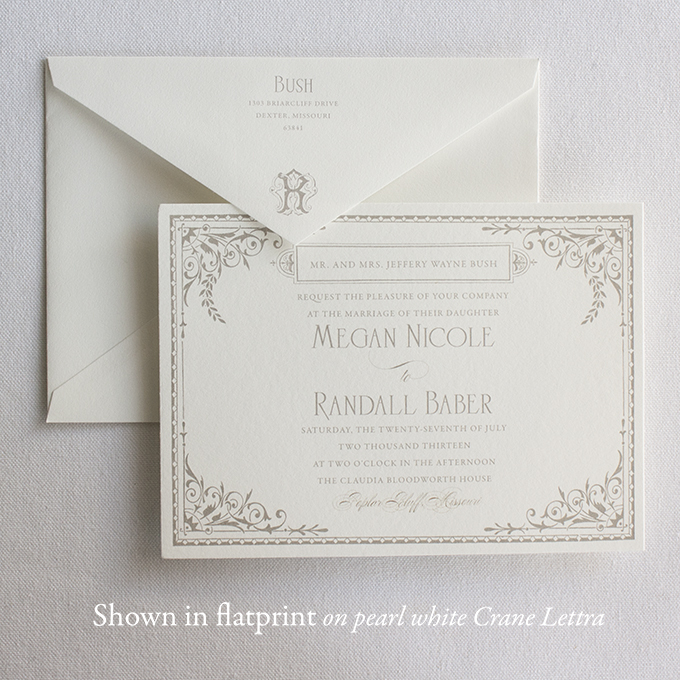 Inspired by Downton Abbey, this post-Edwardian era invitation suite includes lavish flourishing, ivy accents, and delicate, formal serif typefaces indicative of early 1920s Great Britain.